Lascassas earned Reward School status based on test results from last year's TNReady assessments. 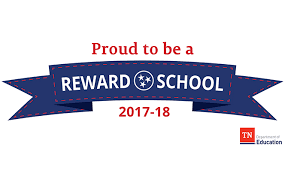 To be designated a reward school, a school must have a high accountability score and be improving in achievement and growth for all students and subgroups. We are so proud of our students, teachers, and staff. Great Job!! !